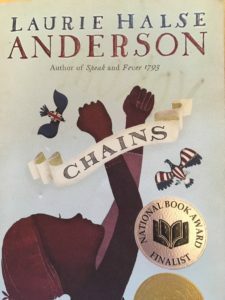 I can not say enough about Laurie Halse Anderson’s Chains. I have read this book three times and as a history teacher I absolutely adore it. Chains follows two slave girls, Isabel and Ruth, who are sold to a Tory family in New York. Isabel and Ruth should be free but the nephew of their deceased owner sold them instead. Once arriving in New York, Isabel makes friends with Curzon. He tells her that she should keep her eyes and ears open in the house of Lockton. He says that she might learn something of value the Patriots would reward her for. After several instances of abuse and the selling of her sister, Isabel makes up her mind to find out anything that will set her free. She reports several events straight to the Patriot military. (In one instance Madam Lockton finds her and has her severally punished by branding her face with an I.) Cuzon finds himself a POW and is locked up with other patriots in jail. Isabel visits him regularly to the great dismay of her mistress. Eventually, Isabel will use her wits to break Curzon out of jail. Together they run from New York. While she does not gain her freedom legally, she does find freedom. This book is the first of a trilogy. Isabel crosses her river Jordan and there we leave her until Forge. 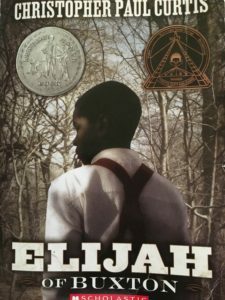 This book is historical fiction and therefore there are a few things in which to be aware. Ruth suffers from seizures. They call them fits and Mistress Lockton even refers to her having the devil in her. Mrs. Lockton attempts to beat Ruth at one point but Isabel takes it for her. Isabel takes a serious beating and a branding. Toward the end of the book Mrs. Lockton locks her in the potato bin. The American Revolution sets the backdrop for this incredible story. Each chapter begins with a section from a primary source. It is great to make connections between what the Patriots were fighting for and for what Isabel is fighting. I recommend this book as a support for your American Revolution unit. *Talk about the location of Rhode Island and New York. It’s important for students to understand that slavery extended throughout all 13 colonies. *In Chapter 4, Isabel tells the reader: “Ruth and me were housed belows the packet-boats deck with six sheep, a pen of hogs, three families from Scotland, and fifty casks of dried cod.” What does this tell you about the treatment and views of slaves? Why might the families from Scotland be below deck too? *On page 43, Becky complains about having to make tea. She even says that she could be tarred and feathered for making tea. Why is this? Why is she not allowed to make tea? Who would tar and feather her? *Curzon and Isabel are talking about freedom on page 160-161. Isabel has suffered from a severe beating and branding by this point. She tells Curzon: “You are blind. They don’t want us free. They just want liberty for themselves.” Do you think this is true? Can you see examples of this in the novel? When is slavery abolished? *There is a great appendix section in the back where the author answers several questions about her novel. *There is also a discussion section in the back. This book is wonderful! And I am not just saying that because the main character, Hattie, and I share the same birthday. Although, that is pretty awesome. This book is the epitome of what I was hoping to find and share with people. I will admit, I did not pay attention to the top of the cover which lets the reader know this is the sequel to another book. But you need not have read Hattie Big Sky to enjoy Hattie Ever After. In Hattie Ever After, Kirby Larson gives us a strong, independent female lead. She not only tries new things, but she leans on the Lord for strength and comfort. Hattie receives an opportunity to travel to San Francisco as a wardrobe mistress for a travelling vaudeville group. Her biggest doubt: moving farther away from her love, Charlie. Hattie realizes that at the ripe age of 17, she still has a lot to find out for herself before settling down. 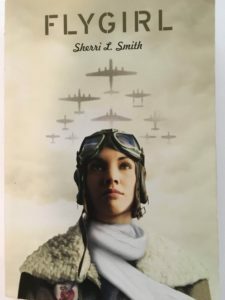 I should add that this novel is set in 1919. Hattie’s true desire is to be a newspaper reporter. She finds such an opportunity in San Francisco. This book is full of loving and encouraging characters. Hattie makes fast friends with Maude, Bernice, and Spot. Not to mention several newspaper reporters. All the characters in the book give Hattie love and support and push her to be bold in going after her dream. While she is working on her newspaper career, she is researching about her Uncle Chester and why he left San Francisco for Montana. She will discover that her friend Ruby is not her friend at all but instead a confidence woman who pulled off a few cons with Hattie’s Uncle. Ruby manages to manipulate Hattie out of some of her hard earned money. Hattie’s friend, Ned, also hurts her in that he steals her story idea out of jealousy. Hattie handles both situations with maturity and wisdom. She never speaks ill of those who hurt her. She does find herself in a bit of a love triangle unbeknownst to her. Even though she moved to California, she still holds Charlie dear to her heart. She never says or does anything that might lead him on. While in San Francisco, Ned develops feelings for her, but I believe that Hattie doesn’t really realize that until later in the novel. She does kiss Charlie before leaving for California and she also receives a kiss from Ned later in the novel. He does make the following comment to Hattie after driving her home from work late one night: “As much as I would love to take you home with me, I think you’d best get out.” Overall, I believe Hattie handles these relationships well and is very upfront with both gentlemen. Hattie prays throughout the novel and even quotes scripture. She is sweet and caring to all who extend a hand of friendship. She will have to work through her feelings for Charlie and her desire to be a reporter. She does decide which is more important by the end of the novel. There are a lot of large vocabulary words in this novel. It might be good to front load those words. 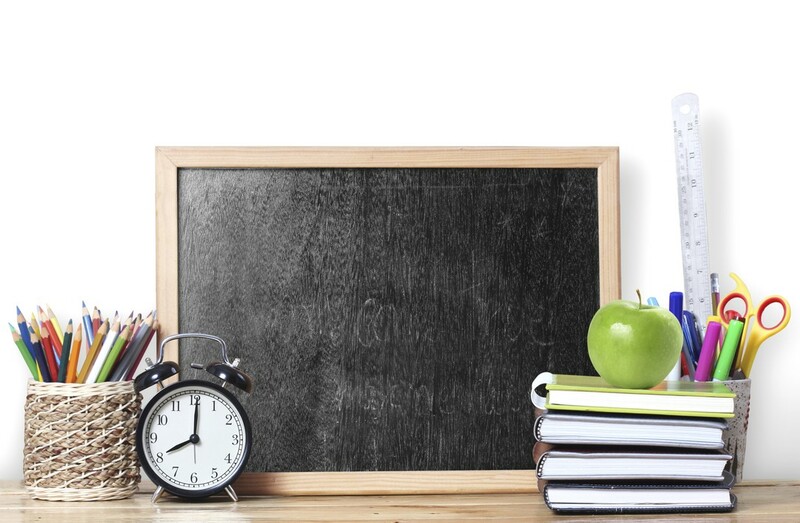 You can download my list of difficult words from teachers pay teachers for FREE! Your child could take on the roll of a reporter and ask family members questions about their childhood. If their grandparents are still living, that would be a great place to start. I loved all the stories I hear from my grandparents about their childhood. They could even mail their newspaper to other members in the family. 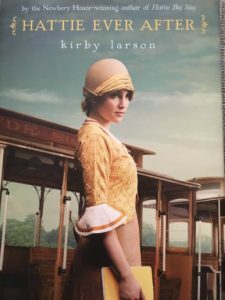 Vaudeville is discussed in the novel. Your child could research vaudeville and perhaps create their own show with friends or siblings. Write a letter to a dear friend encouraging them. Discuss/journal about the downfalls of pride. Include verses from Proverbs. Chasing Lincoln’s Killer was an amazing read! 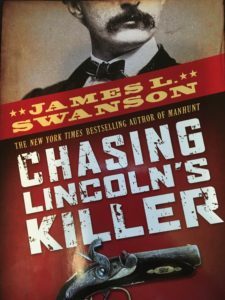 The author, James L. Swanson, is incredibly educated about the assassination of Lincoln. The historical information presented in this book is outstanding. As I read through this book, my heart would beat faster as Swanson described the chase for John Wilkes Booth. The description of the plot to assassinate Lincoln was well laid out. The description of the days later were intense. I did not know about the near misses in arresting Booth. He manages to escape from the calvary multiple times. Chapter III presents a vivid description of the attack on Secretary of State Seward. The author describes how Powell attacked multiple people in the house that night in attempt to get to Seward. These attacks include pistol whipping Seward’s son Frederick. Powell engages in hand-to-hand fighting with a veteran and guard of Seward. He also attacks Seward’s daughter Fanny. Swanson writes, “The blade slashed open Seward’s cheek so viciously that the skin hung from a flap, exposing his teeth and fractured jawbone.” Later on page 169, there is a picture of Seward showing the scar he received from the attack. Most of the book focuses on the chase for Booth. Swanson lays out the route Booth took after shooting Lincoln. He lists the people who assisted him on his way south. In one instance, Booth hires an African-American to help him. Personally, I found this interesting seeing as Booth was a very proud confederate and pro-slavery. In the epilogue, Swanson mentions the fate of those charged with the assassination of Lincoln, Seward, and Vice President Johnson. One of those was Mary Surat. She was the first woman hanged by the US Government. Swanson uses pictures from newspapers from the time throughout his book. A word of warning: the image of the hanging of the four members of Booth’s plot is in the epilogue. Swanson also tells his readers that the man in the booth with Lincoln goes crazy and kills his wife. Overall, this book was an amazing read. The information is strongly supported by historical sources and much research on the part of the author. 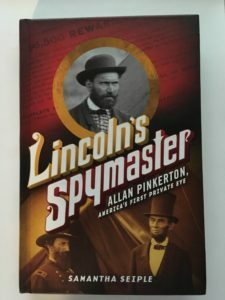 If your child is interested in Lincoln, then this book is a must read. Your child could do a science experiment over coagulation. Use the map on page 62 to practice directions. They could plan an alternate route for Booth to take from Ford’s Theatre. Create a timeline over the events of the two week search. TEKS 8.1A talks about using chronology and identifying important eras and dates in history. Kids can create a newspaper article over the assassination of Lincoln or even the capture and death of Booth. Write a diary entry as one of the characters. Created a wanted sign for Booth and the men in his group.